On Oct. 8, Margarett Mitchell will be inducted into the Atlanta Press Club Hall of Fame. Obviously here at PrettySouthern.com we’re raving fan’s of Mitchell’s work and our first Southern media maven. For those folks who don’t know, the best storyline of Gone With the Wind is neither about Scarlett O’Hara nor Rhett Butler — it’s the author Margaret Mitchell’s very own life story. Born in Atlanta on Nov. 8, 1900, Margaret Mitchell spent her childhood listening to the war stories of Confederate veterans. They told her everything about the Civil War except that the South had lost. She found that out when she was 10 years old. Before leaving for Smith College in 1918, Mitchell fell in love With Lieutenant Clifford Henry, a Harvard undergraduate training for active duty in World War I at Camp Gordon in Atlanta. In 1919, shortly after she learned Henry had been killed in action in France, her mother became ill and Margaret rushed home. She did not make it back in time to see her mother, and she stayed on to take care of her father and brother. Mitchell had many suitors, but Red Upshaw and John Marsh came to the fore as serious potential husbands. She got a job as the first woman to cover hard news for The Atlanta Journal, and married Upshaw. The marriage was short – Upshaw was a bootlegger and alcoholic. John Marsh, her other serious suitor, returned. They married and remained so until her death. She showed the finished manuscript, all 1,037 pages of it, to a visiting New York publisher, and on June 10, 1936, Gone With the Wind was published. By October of that year, Gone With the Wind had sold one million copies, and David O. Selznick bought the rights for $50,000. At the time, it was the highest price ever paid by Hollywood for the rights to a first novel. 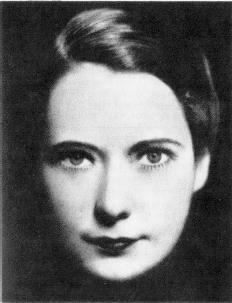 Margaret Mitchell won the Pulitzer Prize in 1937. In 1939, Atlanta hosted the premier of one of the most popular movies of all time, Gone With the Wind, starring Clark Gable and Vivien Leigh. On Aug. 11, 1949, while crossing Peachtree and 13th streets close to her home, Margaret Mitchell was struck by an off-duty cab driver, and died five days later. She was buried in Atlanta’s Oakland Cemetery with the rest of her family. Many years earlier, in an interview with her publisher, she was asked what Gone With the Wind was about. She said ‘If the novel has a theme it is that of survival. What makes some people come through catastrophes and others, apparently, just as able, strong and brave go under? Gumption a.k.a. spirited initiative and resourcefulness. Much like her heroine, Scarlett O’Hara, Margaret Mitchell had gumption in spades.